The Koch brothers are among the richest and most influential donors to politically conservative candidates and causes. And now they'll have a stake in an iconic media company -- Time Inc.
A company owned by the brothers is backing Meredith (MDP)'s purchase of Time Inc. (TIME) with a $650 million investment. But that company, Koch Industries, "will have no influence on Meredith's editorial or managerial operations," said Meredith spokesman Art Slusark. "Consistent with its past practices, [Koch] will be a silent and passive investor," he said. As far as the brothers themselves, Slusark said, "no one from Meredith has ever met with, spoken to or communicated with the Koch brothers in any fashion." In a call with investors Monday, Meredith CEO Steve Lacy said that Koch Industries wasn't asking for as much control of the company as some other potential backers. "We were looking for some support, but in all sincerity, not looking for a lot of help in running the business. So that eliminated a number of the players who came around the table," he said on the call. He said that the fact that Koch Industries didn't ask for a seat on the board, either as a voting or non-voting member, "without a doubt, made the offer from [Koch] the most attractive." 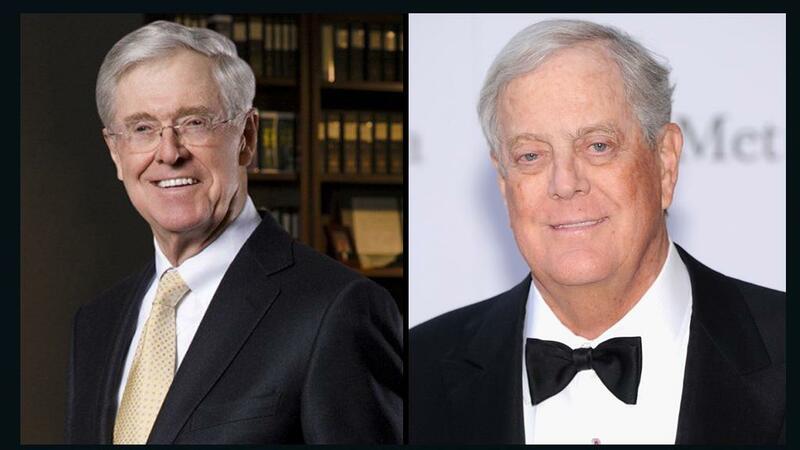 Billionaires Charles and David Koch are known for funneling hundreds of millions of dollars toward issues including efforts to repeal Obamacare, cutting taxes and government spending, and reducing government regulation, particularly limits on carbon emissions. Thus their investment in Meredith's purchase of Time has stirred up concerns that they intend to call the shots, or at least have their say, on Time Inc.'s coverage, despite Meredith's claims to the contrary. "Meredith wanted to buy Time Inc. back in 2012, but didn't want Time magazine," former Time editor Richard Stengel tweeted early Monday. "The difference now is the Koch brothers' money. Even though they won't have a seat on the board, hard to imagine they won't influence the editorial side." "Nobody, but nobody, buys news media properties *unless* it is to exercise some influence through or over them," tweeted Emily Bell, a journalism professor at Columbia University. She said investing in financially troubled print media doesn't make any sense as a business decision -- only as a means to influence coverage. The investment, which Slusark said amounts to 15% of the financing that Meredith has lined up, comes from the Koch Equity Division arm of privately held Koch Industries. The companies in which it has announced investments are fairly low profile, such as Guardian, a leading manufacturer of glass products, and ADT/Protection One, the home security company. There are no other media companies on its public list of investments. In return for Koch's $650 million investment in Meredith, it will receive preferred shares in the company that will pay a dividend of 8.5%. Essentially this is a three-year loan. Meredith is best known for non-political magazines aimed at women such as Better Homes & Gardens and Family Circle. Lacy insisted to investors that he's not looking to make big changes in the editorial policies at Time or other publications. He said that while he does plan to eliminate $400 million to $500 million in costs from the combined companies, he doesn't expect to cut newsroom budgets. "Clearly, the editorial functions, the creative activities, are always sacred because that's where you generate the 25% of the revenue, from circulation, which we count on in good times and in bad," Lacy said. "And it's the most sacred and the safest revenue stream of any media company. And unlike some of the newer digital players, we get paid for our content, which is what I like." Meredith President Tom Harty did say that the company might sell some of Time Inc.'s current roster of magazines after the deal closes, though he said it would be premature to say which ones might be put up for sale. In addition to Time, Time Inc. owns Fortune, Money, Sports Illustrated and In Style, among other titles as well as People, the most profitable title in the entire magazine industry.